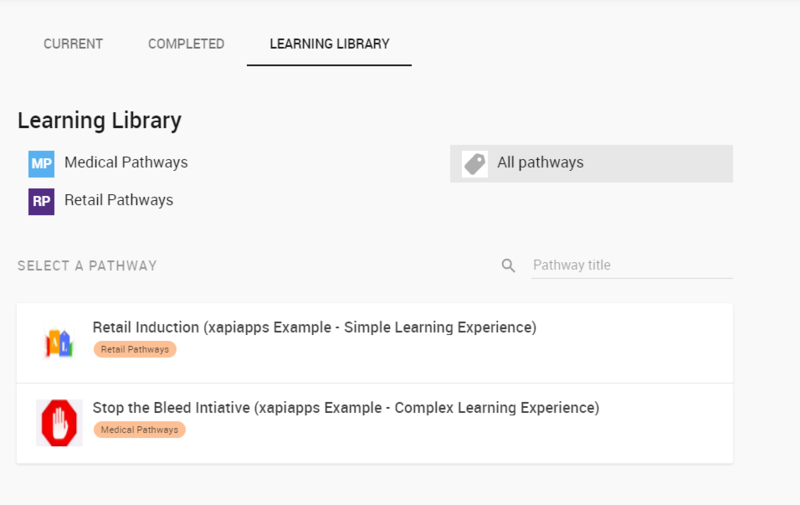 A learning library is a catalog of pathways grouped into topics. Learners can do self directed learning through their learning library. Each group of learners can have their own personalized set of learning. All types of roles (Admins, Observers, Learners) can have a learning library.